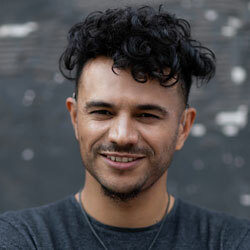 Raymond Antrobus was born in Hackney, London, England to an English mother and a Jamaican father. He is the recipient of fellowships from Cave Canem, Complete Works III, and Jerwood Compton Poetry. He is one of the world’s first recipients of an MA in Spoken Word Education from Goldsmiths, University of London. Antrobus is a founding member of Chill Pill and the Keats House Poets Forum. He has had multiple residencies in deaf and hearing schools around London, as well as Pupil Referral Units. In 2018 he was awarded the Geoffrey Dearmer Award by the Poetry Society. He lives in London, England. I wait outside THE PERSEVERANCE. Just popping in here a minute. spits him out for a minute. He gives me 50p to make me disappear. while strangers ask, where is your father? but hug me for my perseverance. overstanding our heat and perseverance. I still hear popping in for a minute, see him disappear. We lose our fathers before we know it. I am still outside THE PERSEVERANCE, listening for the laughter. The following are links to other Web sites with information about poet Raymond Antrobus. 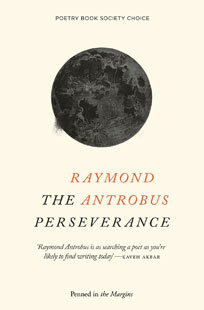 Have you read The Perseverance by Raymond Antrobus? Add your comments to this page and let us know what you think.